When the airship R101 crashed into a hillside near Beauvais, to the north of Paris, in October 1930, not olny did the ensuing conflagration bring an end to the dreams of an Imperial Airship service, it also extinguished some of the most brilliant lights in the aviation community at that time. 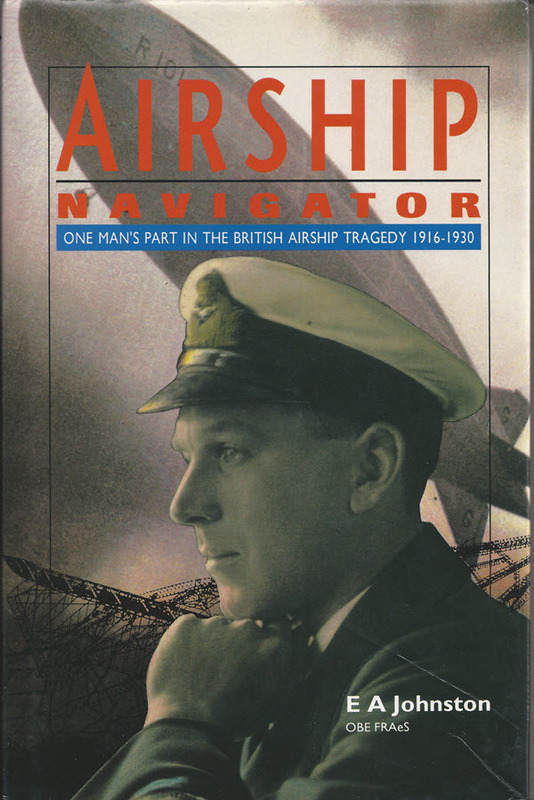 The Airship Navigator is the author's father, Earnest L. Johnston OBE AFC, who beacme and airship pilot in the Royal Naval Air Service in 1916, and lost his life in the R101. Airship Navigator tells the fascinating story of the mainstream of British Airships from the point of one man who flew them between 1916 and 1930 - and also contains an account of some pioneering commercial aeroplane operations in which he was involved in the formative years of 1923-27. As well as telling teh story of his father life, "Johnnie Johnson" also offers his own re-examination of the original evidence relating to the loss of R101, and of a computer study of the behviour of the airship in those last moments at Beauvais. Copyright © 2018 Airship Heritage Trust. All Rights Reserved. Copying and/or redistributing of any files is illegal under international copyright law. AHT is not responsible for the content of external sites.